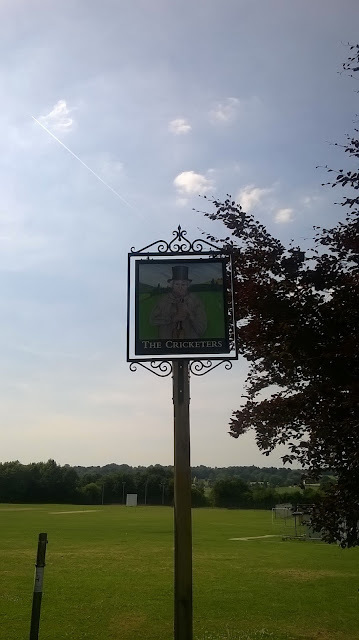 This pub sign, unearthed in Barnham, West Sussex but originating from an establishment a couple of hundred yards from where it now stands, bears the image of 'Silver' Billy Beldham in his dotage [read part one of Billy's story here]. 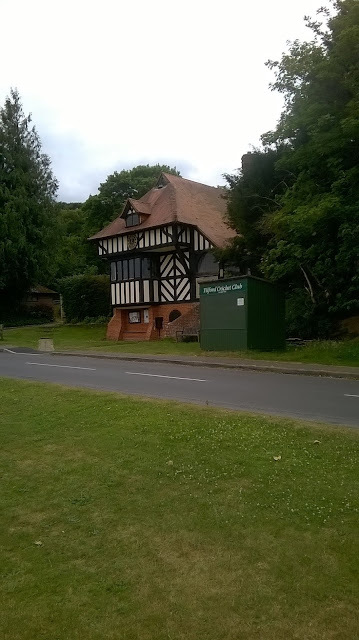 It comes from the Cricketers in Wrecclesham, which itself is now a restaurant called The Bengal Lounge, but which Billy frequented with his brother in law and batting mentor John Wells, and where, on one wall, was scrawled the commemorative legend: 'Good beer as drunk by those famous men Beldham and Wells'. Billy was born a stone's throw from the sign in Yew Tree Cottage, a glorious tumble of sagging bricks and beams with a raked roof, Grade II listed since 1972 and possessing a measure of fame itself as the model for 'Oak Cottage', one of those Lilliput Lane miniatures that stand on nans' shelves everywhere. It was probably built in the 16th century, although there are records of a dwelling there since the 1300s. Billy arrived in 1766 and handed the tenancy of the house to John Wells in 1820, the year before his long playing career came to a close. 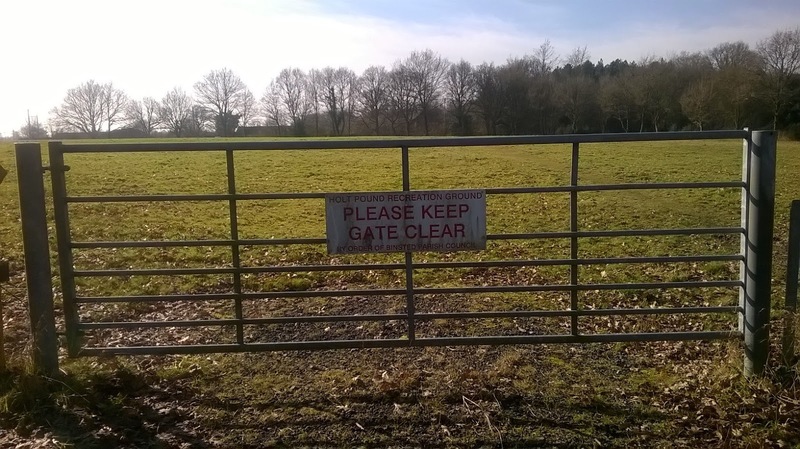 The ground beyond the sign is The Rec, home to Wrecclesham CC, founded in 1902 and who first played on this pitch in 1927. 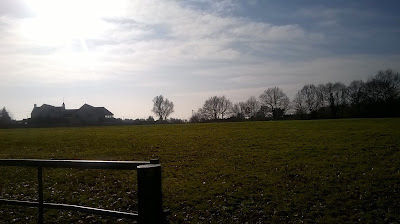 Billy would never have seen cricket here (unless he ventured out of his door to practice, which is not unlikely), yet the ground further nestles this tiny village into the lore of the game. When I played for Wrecclesham's U15s (sneaking across the border from, whisper it, Hampshire) the Thorpe brothers were mainstays, Ian, eldest and captain, and Alan were buccaneering all-rounders; the youngest, Graham, was a left-handed bat... and in Graham Thorpe, Wrecclesham had another great player (I'm sure Graham still revels in the title, 'the second best batsman to come from Wrecclesham'). This is the Barley Mow at Tilford, where, in 1821, at the age of 51, Billy became the landlord. 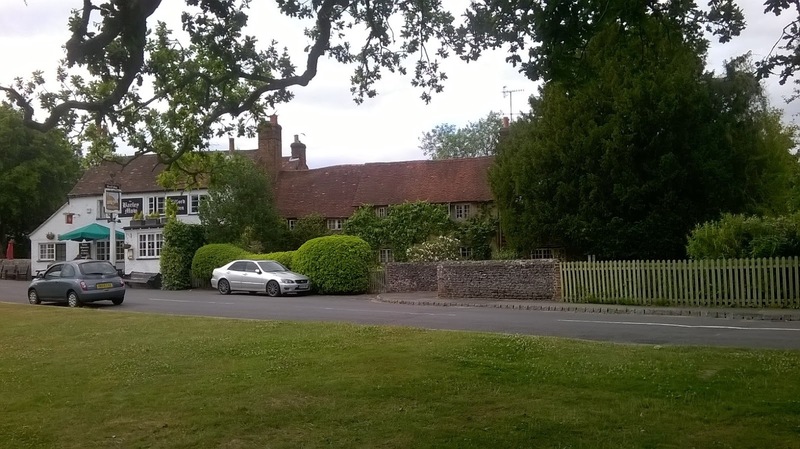 The building adjoining the pub to the right is Oak Tree Cottage, home to Billy and his wife Ann. Ann was Billy's second wife, and his second wife called Ann (Ann the first bore him a daughter called Ann, too; both had passed away by the time Billy got to Tilford). It must have been like Mick Jagger moving to the village. Modern notions of fame don't really apply, but it's fair to say Billy Beldham had something of the rock star about him, from the blond locks that gave him his nickname to the stories that he'd fathered thirty-six children - nine is the more likely total, eight by the second Ann. Tilford stands where the two branches of the river Wey meet, and its medieval bridges cross the water either side of the Barley Mow. In front of the pub is a triangular village green that rises quite sharply at the far side and rolls in swales that catch the light. It has been recreational ground since 1853, and Tilfird began playing cricket on it in 1886, but as with The Rec at Wrecclesham, it was Billy's playground before then. In the back room of the Barley Mow he made cricket bats, and where else would he have gone to test his workmanship (and how could he have resisted having a hit?). Silver Billy was one of the first men to make a living from cricket. In one of his earlier seasons, 1788, he played ten matches for which he was paid a total of £44 and two shillings, more than double the annual wage of a farm worker. His form of fame lingered. 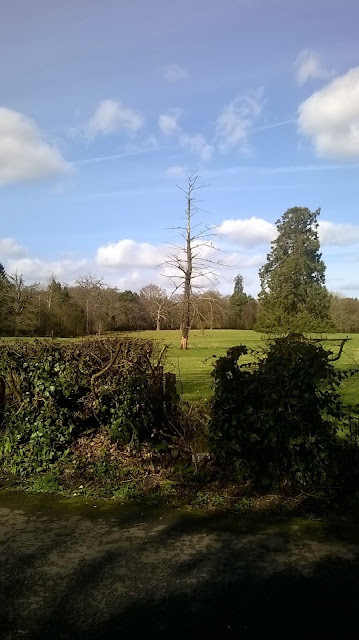 He died at Tilford on 20 February 1862, and five months later, London Society magazine carried these lines: 'Old Beldham died last winter near Farnham, aged ninety-six. Not long before, the old man was invited to Lord's, and received with all honours in the pavilion: he was also advertised as expected at the Oval, to increase the attraction of a match between the old players and the young'. He was also said to have been the first cricketer ever to be photographed. What's harder to feel is the texture of his life, the rhythm of his days. Billy died no more than seven miles from where he was born, and even that may have represented some journey for a rural villager given a short life of hard labour and hard drinking. Billy had travelled to the great metropolitan grounds of Lord's (he saw all three of its locations) and the Oval (said to have been named after Holt Pound Oval, where Billy played his first big matches). He journeyed regularly to Hambledon, thirty miles away, by horse. For anyone dropping by the Barley Mow to hear his stories, he must have sounded like an explorer or an astronaut, a resident of places that they could only imagine. What drew him to Tilford is lost in time, and there's an odd connection, probably coincidence, but worth thinking about. In 1894, a young architect, Edward Lutyens, put up one of his first commissions, The Tilford Institute, opposite the Barley Mow. 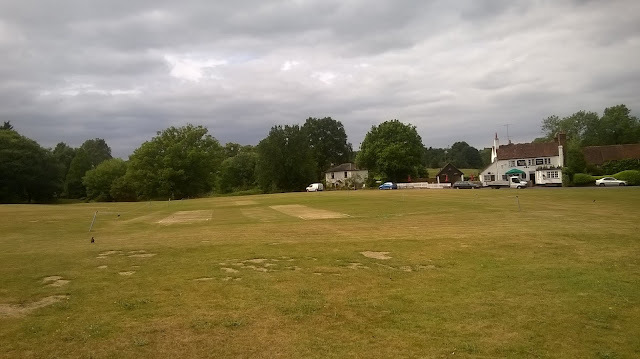 It has served as the pavilion for Tilford CC, and it's one of the few places in the world where you have to cross the road as you go into bat. In its summer setting, a Lutyens on one edge and the Barley Mow on another, the green has become a vision of a certain kind of Englishness, a deeply timeless place. With the cricket on, watched by the drinkers in front of Billy's pub and the kids paddling in the river beyond, it has been used in adverts by companies emphasising their roots - British Airways, Rover, Courage Beer - and by Stephen Frears as the setting for his BBC film (apparently never shown) of the cricket match from the novel England Their England. Somehow Billy, who had defined the aesthetic of the batsman when he played, ended his days on a green that still embodies this particular type of beauty. What a great and mysterious force he was. He was born in Elvetham in 1755, and he emerged into a changing world. In 1744, the two stumps that made up a wicket had been raised to twenty-two inches in height. In 1775, when Harris was twenty years old, came the match at the Artillery Ground when Lumpy Stevens 'bowled' John Small three times, leading to the addition of the middle peg. The target suitably established, David Harris went to work. 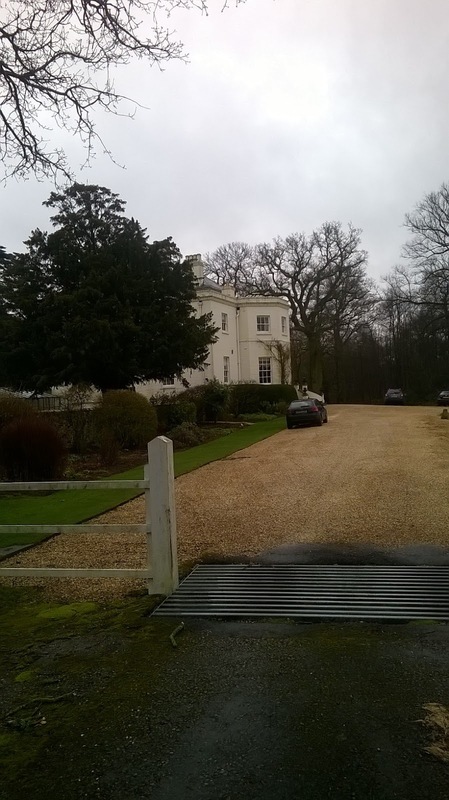 Elvetham was listed in the Domesday book with a yearly rent of thirty shillings and enough woodland to support ten swine. The Seymour family arrived in 1426, and in 1535 Edward Seymour entertained his brother-in-law Henry VIII there. Elizabeth I visited in 1591 as the guest of the Earl of Hertford, and brought an entourage of 500 with her. 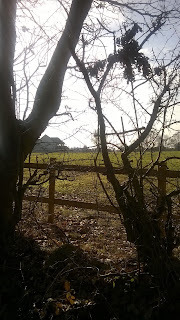 The fields and woodland around the hall were unchanged by the time of David Harris and some have barely changed now. Harris happened to be born in exactly the right place, as well as the right time. 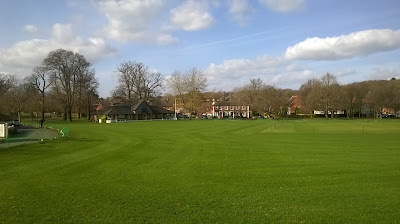 Cricket was played on this green in 1770, when David Harris was fifteen years old, and it has taken place there every season since, making it one of the oldest continuously used grounds in England. Although the name David Harris appeared on a scorecard for the first time on 27 May 1782 in a game at Odiham between Arlesford & Odiham and a Hampshire County XI, the case that he was bowling here, a mile or so from his home, some years before that is irresistible. Harris' method, the ball raised to the height of his forehead 'like a soldier at drill' before he delivered, produced a spearing underarm delivery that kicked up from the pitch, a new and apocalyptic development for batsmen used to a ball that stayed low or ran across the ground. 'Length', as it became known, forced through the new style of bat and a new style of batting, the one being refined by Billy Beldham a few miles to the south in Farnham. But Harris did something more important than that. He introduced a psychological dimension to the game that wasn't there before, he broadened its hinterland. He brought in the notion of fear, of peril. He reinforced the idea of the batsman as being alone in a hostile universe. It was the other half of Silver Billy's model of batting as something beautiful, the aesthetic heart of the game, and together they formed something modern and new. Here is the playwright Frederick Reynolds on how it was to face David Harris: 'I felt almost as if taking my ground in a duel... and my terrors were so much increased by the mock pity and sympathy of Hammond, Beldham and others round the wicket, that when this mighty bowler, this Jupiter Tonans, hurled his bolt at me, I shut my eyes in the intensity of my panic and gave a random, desperate blow'. David Harris and Billy Beldham first faced one another in 1784, when Farnham played Hambledon, and they would appear as both team-mates and opponents from then on, two shaping forces, flip-sides of the same coin. A third man linked them, another archetype, this time of the autocratic administrator. His name was Lord Frederick Beauclerk, and he lived in Winchfield, the next village along from Hartley Wintney, in Winchfield House, a glorious pile that still stands. Ostensibly a cleric with a parish in St Albans, where, when he appeared his sermons were legendarily dull, Beauclerk made his money from playing and betting on cricket, and he was one of the game's great enigmas: courageous on the field but malicious too, a bearer of epic grudges, priggish, disdainful, haughty, both a maker and bender of rules and a man who had no problem with saying one thing and doing another. His betting came mainly in small-sided games, into which Billy Beldham was often co-opted. Beauclerk would have loved to have hold of David Harris too, but his star shone briefly. He was a quiet country boy, with, as Nyren recorded, 'a remarkably kind and gentle expression', a potter by trade who never married and who would be dead at 45. Gout afflicted him so badly that he used crutches to walk and had to sit down between overs, and after his last games in 1798, 'was latterly a cripple'. 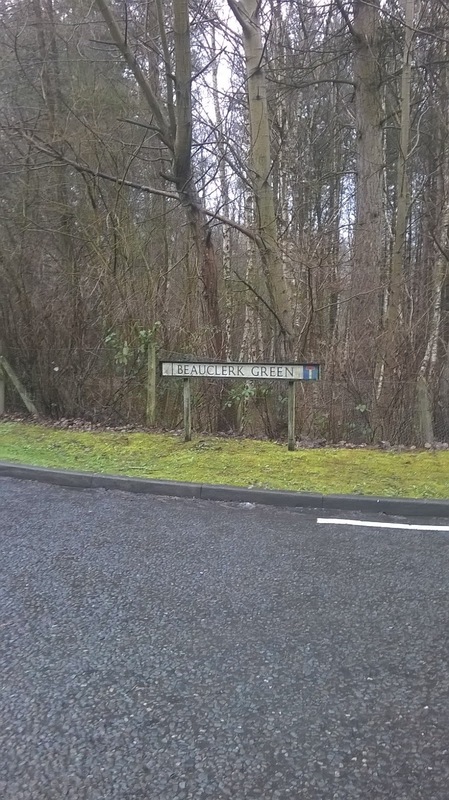 He's buried in an unmarked grave somewhere in Crondall, not far from his home in Crookham. As John Major wrote in his book More Than A Game, 'The name of David Harris does not convey the magic of a Sydney Barnes, a Harold Larwood or a Shane Warne, but his role in changing the face of cricket was greater than any of theirs'. Harris had a reputation for being incorruptible, 'a man of so strict a principal', not pragmatic enough for Beauclerk. Instead, Hartley Wintney was to throw up another rapid-fire merchant for him, Thomas Howard, born in the village in 1781, a man who would take part in a contest of such infamy it would lead to a radical change in rules, and to a feud that cost careers and lasted a lifetime. It involved Beauclerk of course, who could not believe his luck when he found a left-arm length bowler of Howard's talent emerging just up the road from his country house. Howard appeared in the inaugural Gentleman versus Players matches at Lord's Dorset Square gound in 1806, where Beauclerk captained the Gentlemen and recruited Silver Billy and William Lambert as 'given men' [Billy swapped sides for the second encounter, during which Howard dismissed Beauclerk for an ultimately decisive 58 in the Gentlemen's first innings]. By 1810, when Beauclerk asked Howard to play with him in a money match against William Lambert and George Osbaldeston, Howard was established as a leading player of the day. The bet was for £100, and it was a gamble - Lambert was to vye with Billy as the premier batsman of the age, and Osbaldeston was a skilled all-rounder, a swashbuckler known as the 'Squire of England'. When Osbaldeston fell ill at the toss, Beauclerk saw his chance and refused Lambert's request to postpone the game. He told Lambert to play or pay up and Lambert responded by bowling so wide of the wicket that Beauclerk's hair-trigger temper duly went off and the match was lost. Beauclerk's vengeance was lifelong. A year later his hand was behind the institution of a Law declaring a one-run penalty for a wide delivery. In 1817, Lambert was accused of trying to fix a match between Nottingham and Beauclerk's All England XI. Beauclerk was struck on the finger during that ill-tempered game and almost died after the wound became infected. When Lambert became embroiled in a row during a match at Lord's the following season, Beauclerk called him in front of the MCC committee and had him banned from playing for a year. For Osbaldeston he had to wait a little longer, but revenge came when he resigned from MCC in protest after an argument during another single-wicket game and Beauclerk refused to readmit him. 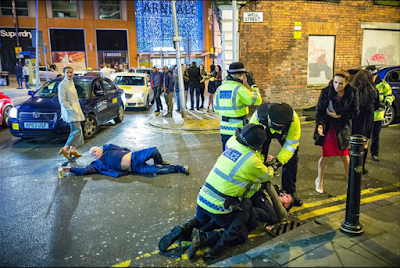 The Squire's cricket career fell terminally away. 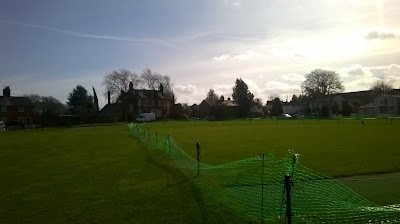 Hartley Wintney is a thriving club [and a ground I conquered myself once or twice] and each year they host a charity game, generally with Hampshire's beneficiary, so the great and the good continue to stand on earth that connects them to cricket's deepest history. It's quite something to be a part of. It's the morning of 23 August 1791. 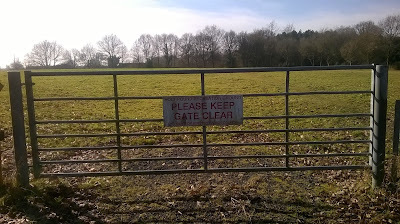 In the field behind this gate, George Finch, the ninth Earl of Winchilsea, has been dismissed hit wicket for four while batting for Surrey against Hampshire. His opening partner Charles Anguish is out for nought. Harbord, the number three, goes for a duck too, and Louch at number four manages nine. Two of the three Walker brothers, Tommy and Harry, fall quickly, for nought and two. By the side of the pitch, among the crowds, William Beldham, 25 years old and perhaps already the greatest batsman in the land, awaits his turn. He's down at number eleven, the last man in. The bowling is underarm, each over consists of four deliveries. On Holt Pound's rudimentary wicket, staying in is hard, making runs harder. When he gets to the crease, Billy Beldham scores nine in the first innings and 17 in the second - and Surrey win by 17 runs. In the first-class season of 1791, Billy finishes with 532 runs, the most in England and almost 150 more than anyone else. Despite being run out for a duck in the second innings and completing a pair, George Finch is third with 345. Billy came from Wrecclesham, a hillside village to the south of Farnham and a community that was said to spend its sundays 'in scenes of profanity and vice', drinking and gambling on games of marbles and pitch-and-toss, no doubt a terrifying sight to the metropolitan elite. William was a handsome country lad, tall and with long fair hair that won him the nickname 'Silver Billy'. He lived in Yew Tree Cottage on The Street, Wrecclesham's main thoroughfair, a winding strip that boasted five pubs along it and another three nearby. 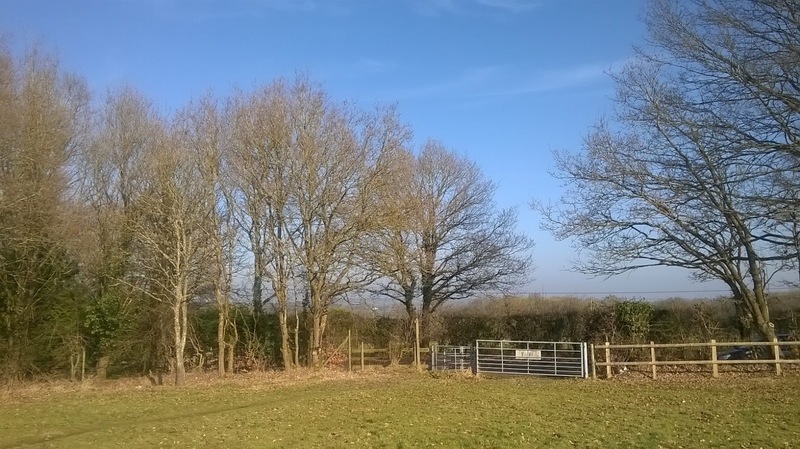 The Holt Pound ground lay behind one of those, an establishment currently known as the Forest Inn, at the top of Wrecclesham hill. 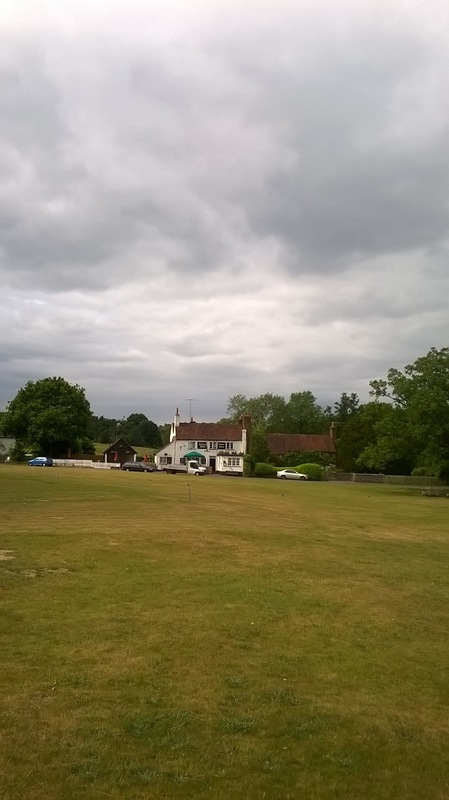 In the spring of 1791, Lord Stawel, the ranger of Alice Holt forest and the captain of Farnham Cricket Club, had employed Billy and his brother John to create a newer, more permanent ground behind the pub to cash in on the growing interest in cricket. 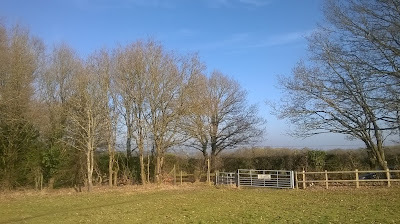 Land in the forest was being cleared to produce wood for the Royal Navy, and the arena that Billy and John produced was described by Charles Grover in his book My Native Village: 'It was banked and level and free to all parties, and as the game is considered a most manly one, all classes engaged in it most extensively. 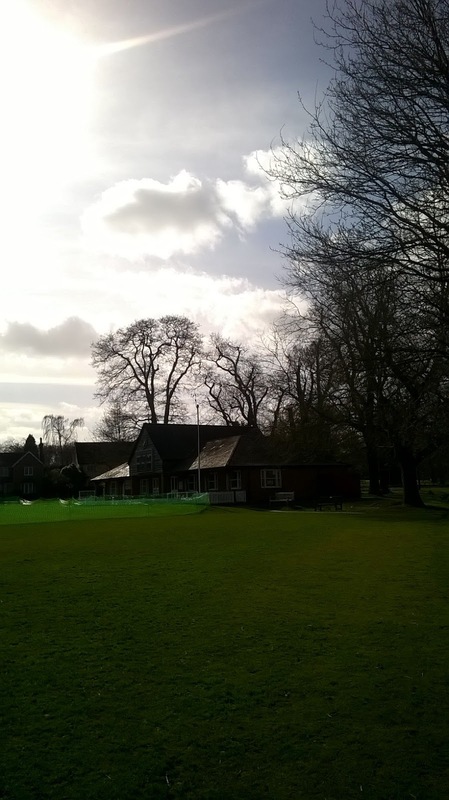 At this time few counties or towns could cope with Farnham and more particularly the little village of Wrecclesham, which could boast some of the most clever and celebrated at the game, as well as one of the best grounds. Matches would often last three or four days and when there, would assemble thousands of spectators, and carriages very numerous'. Billy was schooled in the game by Harry Hall, a gingerbread maker from Farnham, and the Walker brothers of Churt - Harry Walker is usually credited with creating the cut shot. Farnham were a powerhouse of a team, and Billy debuted in their first recorded match, on the field he'd turn into Holt Pound, on 13 August 1782. They played Odiham, and Billy Beldham was 16 years old. Between that debut and the summer of 1791, Billy became a giant, one of the first men to play forward with a high front elbow, a style that demanded a new shape of bat and a response from bewildered bowlers. George Finch first saw him play when Billy scored 43 for Farnham against Hambledon in 1784, and the following Spring visited him in Wrecclesham with an offer to become his patron. From then on, and for the rest of his playing career, Billy earned good money from cricket, and what's more, invented the notion of batting as something beautiful, an aesthetic pleasure. He made the batsman, rather than the bowler, the lone existential hero of the game. Billy wasn't the only shaping force to appear at Holt Pound. George Finch, ninth Earl of Winchilsea, began playing at the age of 33 and thereafter 'would go anywhere for a game of cricket'. His bat was reputed to weigh 4lbs 2oz, which perhaps contributed to his erratic form. It was away from the pitch that his presence was felt. He was a founder of MCC, the club that would soon become the focus of the game, and he offered Thomas Lord the patronage that helped him construct Dorset Square, shifting cricket from country to city. 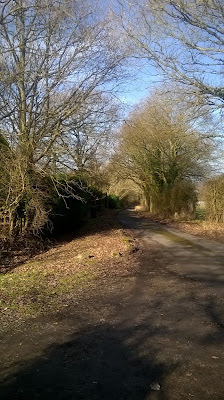 To find Holt Pound today, drive through Wrecclesham, past Yew Tree Cottage, which still stands on the Street, and on up the hill, where you'll pass a garden centre and a sawmill and then cross the border from Surrey back into Hampshire before you reach the Forest Inn, and the tumbledown little laneway beside it that leads to the ground. 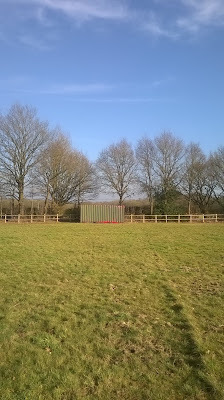 It's a prosaic place now, administered by Binstead council, a bare and unloved field with just a dog-walkers' track across the middle. Farnham left it behind after 1851 for their existing ground on Folly Hill, and save for a brief revival after the first World War, Billy's oval at Holt Pound receded into history, unknown now to the cars that fly by on the A325.